For students of the Greek language, the EDNT is an excellent Greek-English dictionary. 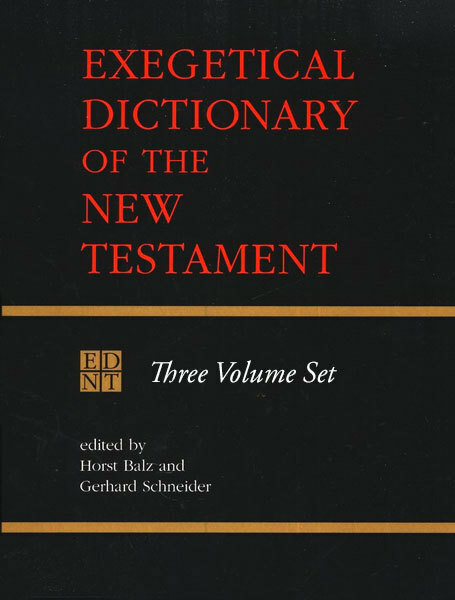 The Eerdman's Exegetical Dictionary of the New Testament (EDNT) is the English translation of the three-volume Exegetisches Wörterbuch zum Neuen Testament, and is a complete English dictionary of New Testament Greek. It serves as a guide to the usage of every New Testament word in its various contexts, has thorough, lengthy discussions of more significant words, and groups words related by root and meaning (with alphabetical cross-references), distinguish it from simpler Greek-English lexicons.